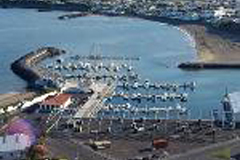 Taking advantage of it's geostrategic location, the AZORES ISLANDS , all provided by newly built, well equipped and sheltered Marinas, with more relevancy to Ponta Delgada, Horta & Praia da Vitória or Angra do Heroísmo are a great supporting & resting spot for all Yachts when crossing the Atlantic while in vacation travels or Charters, repositioning of boats or even during Regattas. ALBANO AGENCY with huge experience on this field together with it's very professional team, providing a service of excellence and understanding the sailors & yacht (Of all types, I.e. 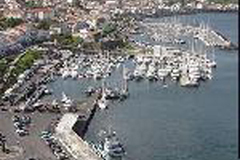 Sailing vessels, Yachts & Mega Yachts) needs & requirements offers all necessary assistance during your calls at Azores, in any of the Islands, helping to make of this stoppage/visit allied with the beauty of this place and its modest people, an unforgettable experience. 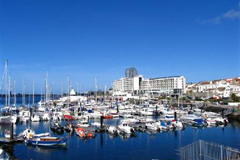 - Berth Booking and arrangements. - Supply of Spare parts/ Nautical Equipments including Charts & Publications. - Sailmaker or simple repairs on sails. We look forward for future mutual cooperation!